It’s easy to keep your lingerie and undergarment stored neatly with our Lingerie Closet Organizer! Perfect for bras, this holder stores them upright for easy access and added organization. Besides, it features a foldable design to save space when not in use. 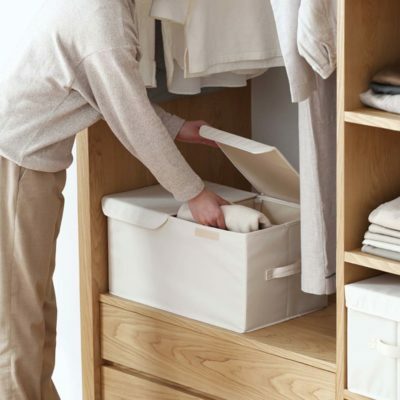 Made with quality soft-touch linen, keep your closet tidy today! Promo: Save 6% when you purchase a 2-piece set! Spacious, premium and organized are some of the words used to describe our Dual Compartment Storage Box! Crafted with the finest materials, this box features a special design that allows you to divide it into 2 separate compartments for greater organization and hygiene (if storing clothes and shoes). The lid opens 2-ways for added convenience as well. Store away your essentials easily today! A must-have essential to keep your undergarment, socks and ties organized, our Essentials Undergarment Closet Organizer is the perfect start to keeping your wardrobe neat and tidy! Its compartmentalised design allows you to maximise your closet space to fit more of your favourite clothes. Coming in 2 designs, be sure to spruce up your wardrobe or drawer with it today! Compact, simplistic and handy, our Multi Hook Closet Hanger is a must-have, especially if you have an array of scarfs, handbags, belts or ties to keep organized! By hanging your essentials, you will not only be able to save space but also have access to them easily. 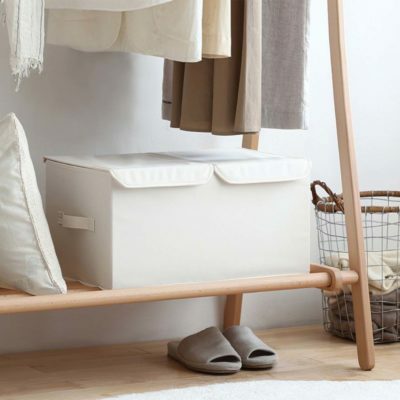 Now, you can keep your wardrobe neat and tidy effortlessly! Keep your wardrobe neat and tidy with our Premium All-in-one Closet Organizer! 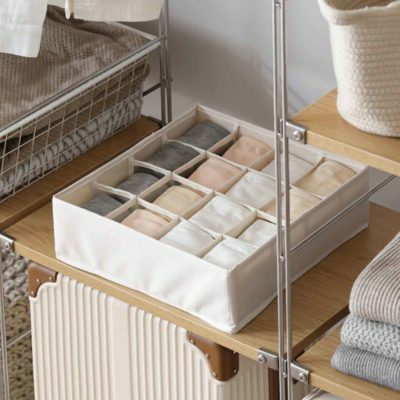 Made with the finest materials, this organizer is perfect for storing your clothing – from undergarments and socks to bras and clothes! It also features a cover with a velcro seal to keep things dust and dirt free. Besides, it comes with a foldable design that allows you to fold it up when not in use, thus saving precious space – Perfect! Say good-bye to table mess with our Basic Desk Organizer! 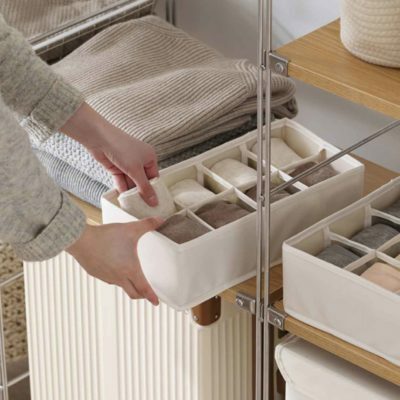 Minimal, simple and well-made, this organizer helps you keep your cosmetics and stationeries clutter-free. Perfect! Coming in 2 colours and 2 sizes, be sure to pick one that suits your desk today! Looking to organize your home and to recreate a relaxing atmosphere? With our Mini Basket Organizer, you may do so easily! Perfect for organizing items such as stationaries, make-up essentials and other household products, be sure to bring home one of these beautiful baskets! Our Basin Hanging Holder is your kitchen sink’s best friend with its lovely looks and amazing functionalities! 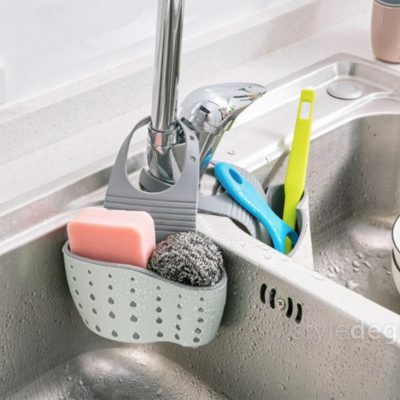 This holders allows you to organize your sponges, scrubs or utensils with ease. Besides, it features a draining system that allows liquid to seep through for added hygiene! Specially designed for our younger friends, our Everyday Children’s Clothes Hanger is the perfect accessory to help kids get the habit of doing laundry and hanging clothes! Smaller in size as compared to regular hangers, it is light-weight, non-damaging to children clothes and is truly adorable as well!